Stickball has been a part of Choctaw life for hundreds of years. Opposing teams use handcrafted sticks or kabocca, and a woven leather ball, or towa. 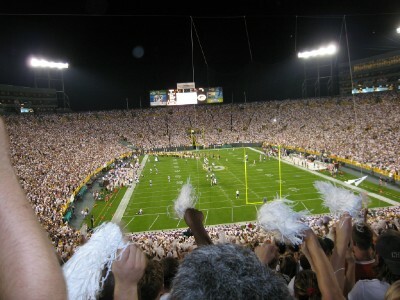 Each team tries to advance the ball down the field to the other team’s goalpost using only their sticks, never touching or throwing the ball with their hands. 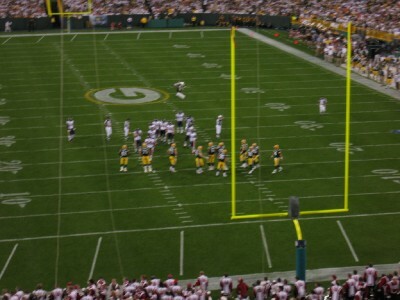 Points are scored when a player hits the opposing team’s goalpost with the ball. The earliest historical reference to Choctaw stickball was a Jesuit priest’s account of a stickball game around 1729. During that period, the Choctaws lived in towns and villages scattered across the area that is now southern Mississippi. 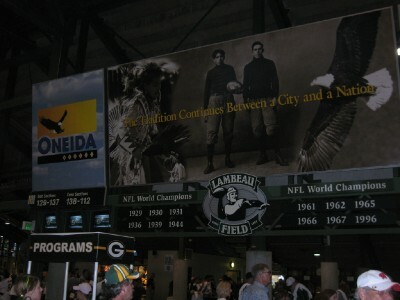 When disputes arouse between these communities, stickball provided a peaceful way to settle the issue. These games were hard-fought contests that cold involve as few as twenty or as many as 300 players. Mississippi Choctaws continue to play stickball. When the first Choctaw Fair was held in 1949, stickball was an important event, but it involved only a handful of teams. 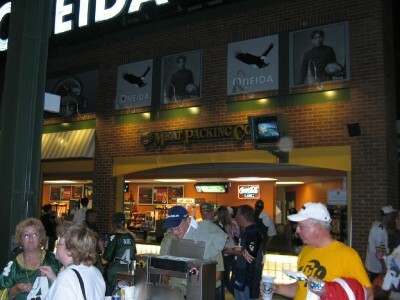 Today, anywhere from 8 to 10 teams meet during the fair in a single-elimination tournament. The championship game closes out the fair, with the fans filling the Choctaw Central High School football stadium to cheer their teams on. Modern stickball has a few more rules than tis historical predecessor. These are printed and distributed to all players before the fair begins. 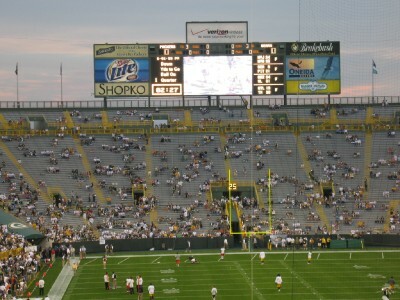 The game is played in four fifteen-minute quarters. 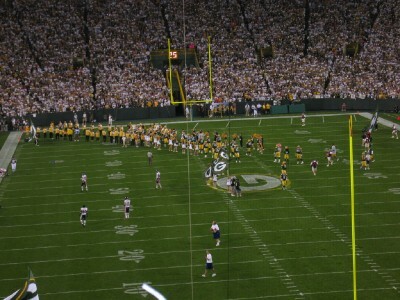 Players still score points by hitting a post which is set up in the middle of the football goal post. They still advance the ball without touching it, using their kabocca. The appearance of the players is different, too. For most of the 20th century, players wore handmade uniforms consisting of pants hemmed just below the knee and open-necked, pullover shirts. These were made in the community colors and decorated with the diamond patterns found on traditional clothing. In the late 1970’s, there uniform gave way to gym shorts, but many players now wear headbands with the diamond design in community colors. Stickball, as it is played today, remains a uniquely Choctaw sport and a symbol of tribal identity. So that boys will have a chance to develop their skills there are two age divisions for young people’s teams. Occasionally, women’s teams will take the field in exhibition matches. The resurgence of interest in stickball has kept several Choctaw craftsmen busy. The kabocca and towa used by the players have to be handmade. The kabocca are carved from hickory and bent at one end to shape the cup of the stick. 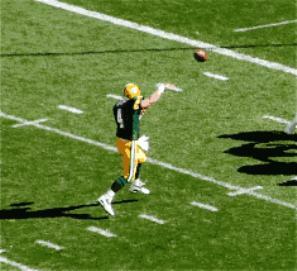 then leather or deer hide thongs are tied to make the pocket in which the players catch and carry the ball. The towa is made from cloth tightly wrapped around a small stone or piece of wood. Once it is wrapped to the desired size, the maker weaves a leather thong over the cloth. Did you know that Indian stickball is an official part of the Mississippi State Games? Stickball is a hard game to play; it’s something like lacrosse with no protective gear. The towa and kabocca, stickball equipment, have to be handmade, and the game has more rules today than it did long ago. Choctaw kids also play many other sports and have a basketball and soccer camp. Eastern Mississippi is home to the Mississippi Choctaws. In the 1800s the United States government forced many Choctaws to move to Oklahoma, along with other tribes. The United States wanted Choctaw land for white settlers. At one time the Choctaws lived in Alabama, Georgia, and Louisiana, too. 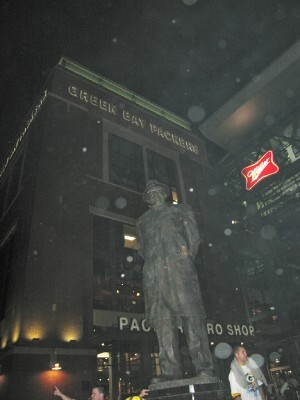 Have you heard of the Code Talkers? Choctaw was one of the first Indian languages used in World War I to send secret messages for the U.S. Army. The enemy never figured it out, and the Choctaw soldiers were honored for their contribution. Choctaw language is still very important to the Choctaw people, who work hard to protect it from extinction. There are language programs in schools, and language classes are part of summer camps. Besides learning Choctaw, students learn how to design Web pages. Many kids like using the digital camera and image-editing software the best. Students put lots of information about Choctaws on the Web, including the Choctaw Fair. The Choctaw Fair is a weeklong event held every July. There are pageants, cultural exhibits, Choctaw social dancers from each community, rides, entertainers, and tons of visitors from all over. You can have traditional food like holhponi, or fresh hominy. Visitors can see Choctaw artists make their famous swampcane baskets in the museum, or attend the Stickball World Series. 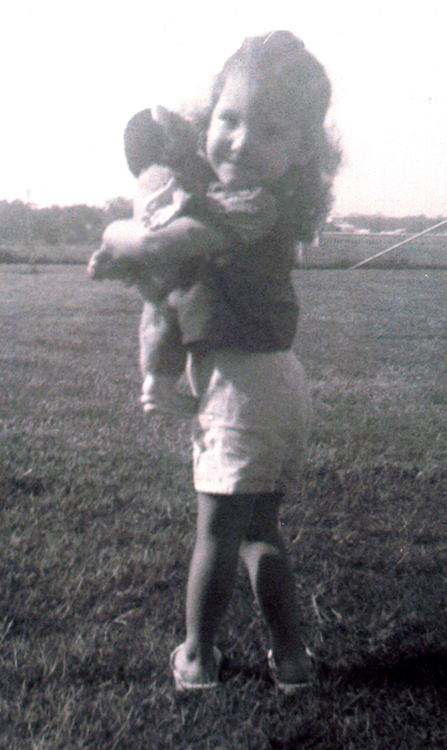 NOTE FROM CHERYL: I have some of my own stickball pictures I will try to post at a later date. I have watched the Mississippi Choctaws play stickball… The roughness/toughness of NFL Football is NOTHING compared to Indian stickball. They carry players off massively bleeding, on stretchers. It’s the most intensive amateur athletics I’ve ever seen in my life. I wonder if Tommie Harris would be tough enough to hang with some of our Choctaw boys? Ha! Oh… he probably could – for a minute or two anyway! THE OLDEST INDIAN SPORT IN AMERICA. YOU THINK FOOTBALL AND RUGBY IS TOUGH? CHECK THIS OUT! The game of stickball has been played by the Choctaw in Mississippi for 400 years and at one time was used in place of war to settle disputes between Native American groups. The modern sport lacrosse is a direct descendant of stickball. The game is extremely fast-paced and physical, but simple. The only two rules are that players can’t touch the ball with their hands and can only tackle someone in possession of the ball (body checks are legal anytime). 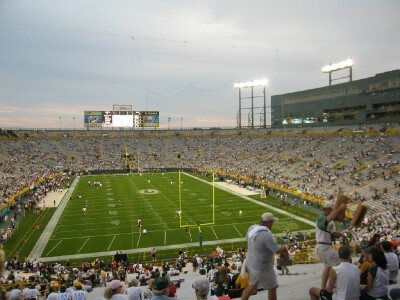 The field consists of a pole at either end and the purpose of the game is to hit the opponents’ pole with a ball comparable to a hackey sack. In the process, players can receive some nasty wounds from rough play and being hit by the kabocca. Many times, Choctaw stickball teams travel to festivals for competitions, and they are a tough opponent. The Choctaw often will try to trick their opponents, using different strategies and techniques each time they play. But when the Choctaw play on the reservation, they don’t hold back! To the Choctaw, it’s not just a sport, it’s part of their identity and they don’t like to lose. They’ve been playing it since they could walk and every game is an intense game. THEY TAKE THEIR STICKBALL SERIOUS, FOLKS! You’ll have to check out the Moundville Native American Festival in Alabama held every fall, and the festival at the Choctaw reservation in Mississippi held in the spring. It would be an experience you would never forget! Native American performing artists, craftspeople, and musicians entertain and educate visitors each October at the Moundville Native American Festival. This year’s festival is October 4-7.Attracts 16,000 visitors annually to the park, located 13 miles south of Tuscaloosa off state Highway 69. Short [o] is generally spelled u but is never pronounced like the English vowel u, as in duty or cute. As is the case for short [a], some short [o] sounds appear at the end of a word, but because of interference from English spelling conventions, short [o] is almost never spelled u when it appears at the end of a word; it is nearly always spelled o. Tuklo has two short [o] vowels, but the final one is spelled o.
Rhythmic lengthening: iti achvffa (one tree: iti=tree; achvffa=one): the first three syllables are light. This environment causes the second syllable of iti to be lengthed: iti achvffa → i-tii-a-chvf-fa. Note: In sentence structure, verb is placed before the noun. However, if a string of light syllables is interrupted by a heavy syllable or if the phrase ends, there is no rhythmic lengthening. For example, iti tuklo (two trees: iti=tree; tuklo=two) does not trigger rhythmic lengthening in the second syllable of iti: iti tuklo → i-ti-tuk-lo. Note: An accented syllable receives a higher pitch than the other syllables. If there is no accented syllable, the word is pronounced with even stress on each syllable. This is one of my favorite stories on Quanah Parker. You have to understand Native American women to understand his dilemma. (We’re strong women, you know!) He said, “YOU TELL UM…” …Wise man! Ha. The significance of this was that the chief loved his wives all alike, but if the Government would tell him which one he would be happiest with he would abide by the decision. This responsibility the Government, through the Indian Department, never assumed, but after statehood, when Quanah wanted to take another woman (to whom he had taken a fancy) for a wife, the Indian agent at Anadarko warned him not to take any more. In time Parker quarreled with one wife and then another and (Page 247) “threw them away,” to use the Indian phrase for divorce, until at the time of his death he had but two left. Comanche Civilization With History of Quanah Parker. Can’t blame the women. Quanah was a fierce warrior, never losing a battle to a white man, was easy on the eyes, a smart, forward-thinking man, powerful, wealthy… and a great Chief of the Comanches. Photo above: Quanah Parker in his later life, in his business attire. Photo thought to be in public domain. Quanah Parker, a Kwahadi Comanche chief; full-length, standing in front of tent. and until 1875 led raids on frontier settlements. to be the wealthiest Indian in the United States. In 1901, the Comanche were allotted 160 acres each and the rest of the land of the Comanche-Kiowa reservation was put up for lottery for the white settlement of the area. Quanah chose a place near Cache where a wealthy Texas cattleman named S.E. Burnett built a large house for Quanah. The lumber was hauled in from Vernon, Texas and a twenty-two-room house was built. With all the children and Quanah’s seven wives a large house was required. Each of the wife’s bedrooms was furnished identically so there would be no quibbling as to which wife got the better room. When the Commissioner of Indian Affairs approached Quanah about having five wives he said that Quanah now lived in the United States and would have to live by it’s laws. The Commissioner told Quanah that the white men who were his neighbors had only one wife. He then said that he would have to send away all his wives except for one. Quanah replied, “You tell um” and just stared at the Commissioner. After a few minutes the Commissioner realized what Quanah was referring to and did not answer. Quanah then said “You tell me which wife I love the most – you tell me which wife will cry the most when I send her away – you tell me and then I pick um.” The Commissioner quickly changed the subject and Quanah kept his wives. When he died, Quanah had only two wives left but had as many as seven in his life. Quanah’s first wife was Weakeah, daughter of Comanche chief Yellow Bear. Originally, she was espoused to another warrior. Quanah and Weakeah eloped, and took several other warriors with them. It was from this small group that the large Quahadi band would form. Yellow Bear pursued the band and eventually Quanah made peace with him, and the two bands united, forming the largest force of Comanche Indians. Over the years, Quanah accumulated four more wives. He had twenty-five children. Many north Texans and south Oklahomans claim descent from Quanah. 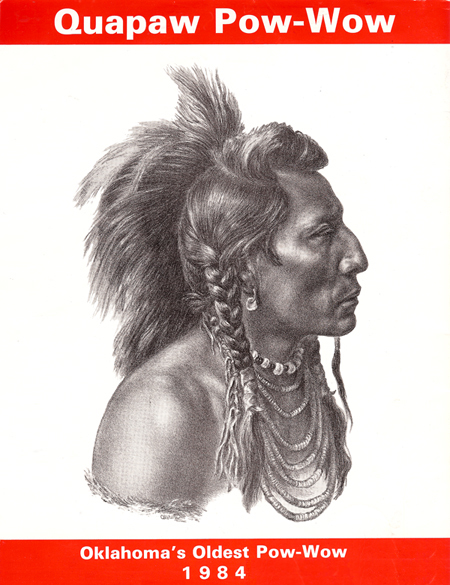 It had been said that more Comanches are related to Quanah than any other chief. One grandson became Comanche chairman, the modern “Chief” of the tribe. Photographed by Lanney. 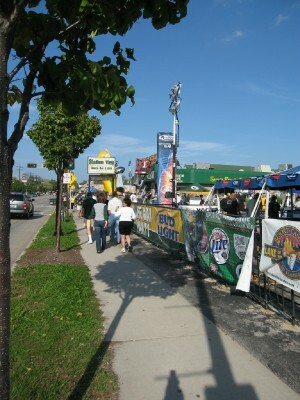 Public Domain photo. Photographs of Native Americans reside among the publicly and internet available materials of the National Archives. Images can be ordered in sets of slides, or as individual prints, though many are available in quality high enough for PowerPoint works and use on classroom materials. Many of the photos are 19th century. Quanah Parker stands as one of the larger Native Americans in Texas history. This photo puts a face to a reputation in Texas history textbooks. Texas teachers may want to be certain to get a copy of the photo. His life story includes so many episodes that seem to come out of a Native American version of Idylls of the King that a fiction writer could not include them all, were they not real. Quanah’s mother was part of the famous Parker family that helped settle West Texas in the 1830s. Cynthia Ann Parker was captured in 1836 when Comanches attacked Fort Parker, near present-day Groesbeck, Texas, in Limestone County. (See Fort Parker State Park.) Given a new name, Nadua (found one), she assimilated completely with the Nocona band of Comanches, and eventually married the Comanche warrior Noconie (also known as Peta Nocona). Quanah was their first child, born in 1852. Nadua was captured by a Texas party led by Lawrence Sullivan “Sul” Ross in 1860, in the Battle of Pease River. Noconie, Quanah, and most of the Nocona men were off hunting at the time, and the fact of Nadua’s capture was not realized for some time. Nadua asked to return to the Comanches and her husband, but she was not allowed to do so. When her youngest daughter, who had been captured with her, died of an infection, Nadua stopped eating, and died a few weeks later. Sul Ross was a character in his own right. At the time he participated in the raid that recaptured Cynthia Parker, he was a student at Baylor University (”What do I do on summer breaks? I fight Indians.”) At the outbreak of the Civil War, Ross enlisted in the Confederate Army as a private. Over 135 battles and skirmishes he rose to the rank of Brigadier General, the ninth youngest in the Confederate Army. A successful rancher and businessman back in Texas after the war, he won election as governor in 1887, served two very successful terms (he resolved the Jaybird-Woodpecker War in Fort Bend County, and had to call a special session of the legislature to deal with a budget surplus), refused to run for a third term, and was named president of Texas Agricultural and Mechanical College (Texas A&M) within a few days of stepping down as governor. Ross’s leadership of the college is legendary — students put pennies near a statue of Ross in a traditional plea to pass final exams, among many other traditions. After his death, Texas created Sul Ross State University, in Alpine, Texas, in his honor. Quanah Parker’s father, Noconie, died a short time after his mother’s capture. He left the Nocona band, joined the Destanyuka band under Chief Wild Horse, but eventually founded his own band with warriors from other groups, the Quahadi (”antelope eaters”) (also known as Kwahadi). The Quahadi band grew to be one of the largest and most notorious, always with Quanah leading them. The Quahadis refused to sign the 1867 Medicine Lodge Treaties, and so avoided immediate internment to a reservation. However, dwindling food supplies and increasing opposition forced Quanah to retire to a reservation in 1875, in what is now southwestern Oklahoma. This was the last Comanche band to come to the reservation. Quanah was appointed Chief of all the Comanches. Through investments, Quanah became rich — probably the richest Native American of his time. Quanah hunted with President Theodore Roosevelt. Rejecting monogamy and Christianity, Quanah founded the Native American Church movement, which regards the use of peyote as a sacrament. Quanah had been given peyote by a Ute medicine man while recovering from wounds he’d suffered in battle with U.S. troops. Among his famous teachings: The White Man goes into his church and talks about Jesus. The Indian goes into his Tipi and talks with Jesus. Photo at right: Quanah Parker in his later life, in his business attire. Photo thought to be in public domain. Quanah Parker died on February 23, 1911. He is buried at Fort Sill Cemetery, Oklahoma, next to his mother and sister. Every new generation faces the job of raising children. Though we may live in a time very different from our grandparents, we have the same responsibilities as parents as they did. We must nurture and protect our children, help them learn society’s beliefs and values, and the skills they will need to survive as adults. For hundreds of years, Indian parents were guided by traditions that never left parenting to chance. These traditions were passed from one generation to the next. The traditions may have varied from one tribe to the next, but they all have the same purpose – to ensure the tribe’s future through its children. Unfortunately, many of these traditions have declined in our families because of the influence of the dominant society. While we cannot go back to the world as it once was, we can still find great value in the child-rearing traditions. They can make our job as modern parents a richer experience. Here are some of the child-rearing practices from our heritage. Many tribes believed that children were special gifts from the Creator. The tribal elders used praise and reassurance to encourage positive and loving relationships between parents and their children. Prophecies were often made about the worth of a child and his or her future. The whole community recognized a child’s growth and development through rites of passage ceremonies. These ceremonies were important for the child, too. 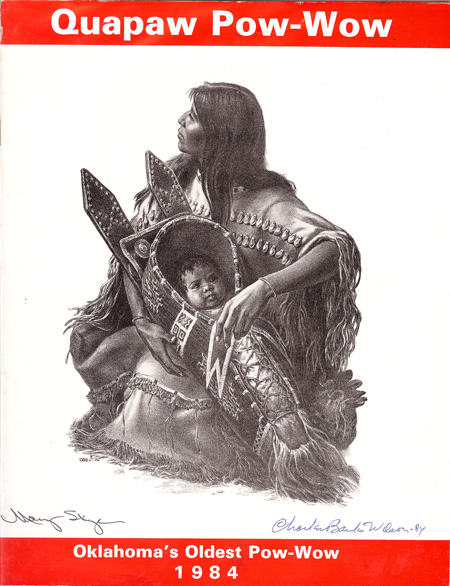 The naming ceremony, for example, helped a child establish his or her identity in the tribe. Nurturing was an important part of traditional child rearing. The use of cradle-boards, for example meant that infants were rarely separated from their mothers. However, no one person carried the whole burden of raising a child. Grandparents, aunts and uncles, and cousins were always nearby to help when parents had other responsibilities. Sometimes extended family members had specific roles to play (i.e. grandfather, the storyteller, uncle, the disciplinarian). Through the telling of stories and legends, children learned about proper relationships with other people and the environment. They were taught to be good listeners and to regard words as sacred. Children were also taught to be good observers and to understand the meaning of non-verbal communication. We can see the important elements of positive parenting in our old ways. Children were respected and understood. Parent and child relationships were important, and communication was well developed. Moral development received constant and careful attention. A Note from Cheryl: I believe that children must be shown respect in order for them to know how to give respect. Teaching them values, respect for others and helping them acquire a strong sense of who they are and who they come from helps give them a strong foundation to build on. Share with your children the old ways. Teach them to value their elders and their teachings. Instill a solid sense of identity in your children to assure that they have a solid core. Be aware that it is natural for a child to constantly seek love, security and affirmation. It is vital that this comes from their family. If they don’t find it at home, they will always seek it elsewhere. When strong, loving relationships between parents (or, in the event there are no parents, family) and children are created, children naturally desire to please their parents and do not want to disappoint them. The bond that is formed and the love that is established will transcend most external obstacles. Simply speaking, children who are loved, valued, respected and gently guided along the red road will grow up feeling loved, valued, respected and will most likely continue their journey on the red road. Children exactly mirror their parents. In raising up your children, see that you carefully reflect the type of person you desire your children to be. We have a wider, clearer vision. . .
in our children. . . invest. May it be richly blessed in… inner strength & tradition. While attending the Annual Quapaw Tribal Pow Wow the weekend of July 4, 5, 6 & 7th in 1984, I purchased this program. Mary Beth Skye was the Head Lady Dancer at this event. The portrait on the front of the program was the beautiful and well-known portrait by Charles Banks Wilson of Mary Beth Skye, titled Plains Madonna. After the great honor of meeting both of them, they graciously signed my program. Within the great Oklahoma Capitol Murals which crown the vaulted rotunda, is a buckskin dressed figure visitors have singled out for special attention and given the title the “Plains Madonna.” In the mural panel, Indian Immigration, the Oklahoma Artist, Charles Banks Wilson, has shown her in an attitude protective of her baby, however, others have seen more than this in the figure. She has become a symbol of motherhood through the ages. In researching his murals among Oklahoma’s 63 Indian tribes, the artist considered many young women as possible models for the Indian mother. He finally selected Mary Beth Skye as having the most ideal features he had seen in his travels. Coincidentally, this full blood girl lived only a few miles from the artist’s home in Miami, Oklahoma. Her expressive dignity and ethnic beauty as captured in his art, will be an inspiration to millions in the years to come. For a fun little flashback into the past, here is what was written on the back inside cover (in 1984) along with a list of the Head People. Surprisingly few Oklahomans know the historical fact that this land, which became the State of Oklahoma, was originally owned by the Quapaw Indians. This tribe, the southern-most of the Sioux, also owned all of Arkansas, (a fact most Arkansans are aware of) and the rich western edge of Louisiana. Today only four pureblood Quapaw remain alive as survivors of this great tribe which was here first and was known and respected by explorers DeSoto and Marquette. The purebloods of all the tribes, who are fortunate to have any, represent the Indian heritage as does nothing else. Charles’ daughter, Carrie is a former Miss Indian Oklahoma. Her son, now nearing two, was the first Quapaw baby born in Arkansas in over 200 years. His wife, Edna, is a historian of the Quapaw tribe. Head Lady Dancer: Mary Bootsie Skye Alexander of Norman, OK; Head Northern Dancer: Delilah Conner Whitaker, Sapulpa, OK, Quapaw-Seneca-Cayuga; Head Gourd Dancer: Rufus Squirrel, Wichita, KS; Head Singer: Troy Littleaxe, Bartlesville, OK, Shawnee; Head Man Dancer: Tony Shawnee, Tulsa, OK, Quapaw-Shawnee; Masters of Ceremonies: Charles Dawes, Ft. Smith, AR, Ottawa and Jake Whitecrow, Denver, CO, Quapaw-Seneca; Arena Directors were Charlie Blaylock and Bill Griffin. Very sad to hear that the world of football will now be minus it’s Godfather! 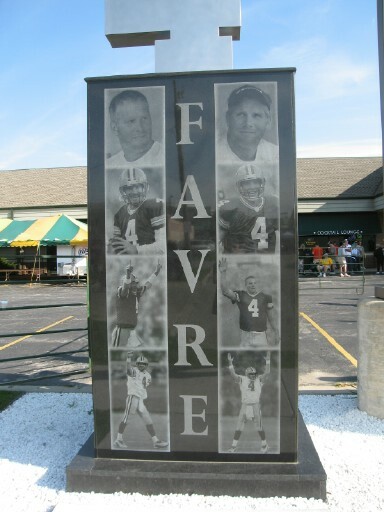 Brett Favre. What a player! What a guy! What a story! But we salute you and say thank you for some great moments. We’re so glad you played and contributed so much to the game. And I am really stoked and thankful we were able to see you play before you retired! NEVER MIND! 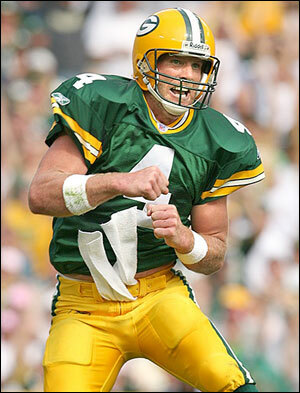 WELCOME BACK BRETT! THRILLED…. AND CAN’T WAIT TO SEE YOU OUT THERE AGAIN! 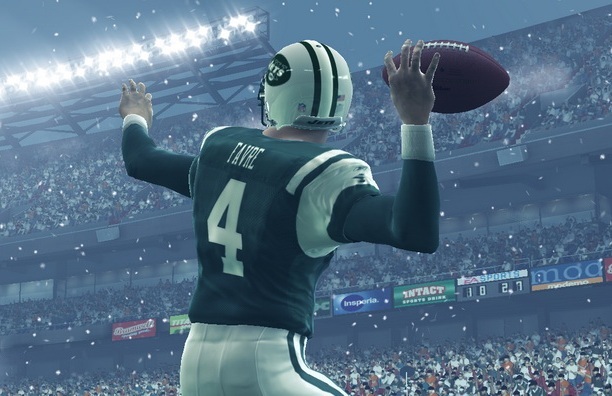 NEW UPDATE: Brett’s playing for the JETTS! 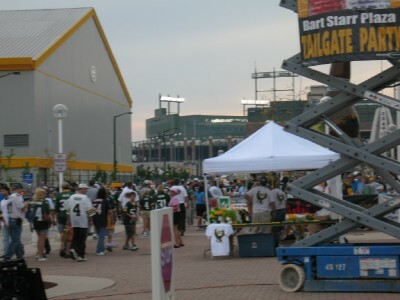 We had the great pleasure of being invited by Tommie Harris to travel to Green Bay and see him and the Chicago Bears take on (…AND BEAT, of course…) the Green Bay Packers on October 7, 2007. GO BEARS! 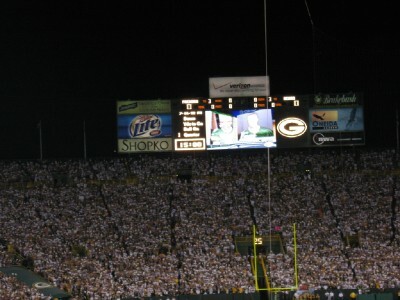 This was the game Brett Favre threw for 424 touchdowns, setting one more record. Wow! Actually, I think he set several records during this game. Tommie was with the team, focusing on the game, but he managed to grab some dinner with us at the hotel before the game. After dinner we went to the game with Bill Horn, Tommie’s Publicity Agent, and sat with some of Tommie’s friends, which included his pastor from Chicago. It was a blessing to meet and enjoy the game with them! Great guys! It was a clutch time, for sure! 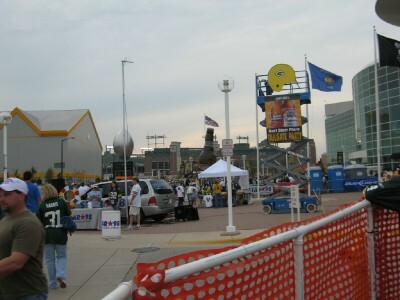 The atmosphere was incredible, the Green Bay fans were fun and friendly… it was good times and amazing to be at such a legendary place. 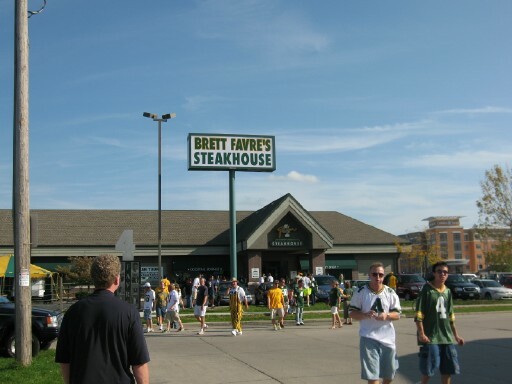 And man, do the Green Bay fans love Brett! Don’t we all! Watching Brett run out on that field was absolutely surreal! The whole experience was surreal. 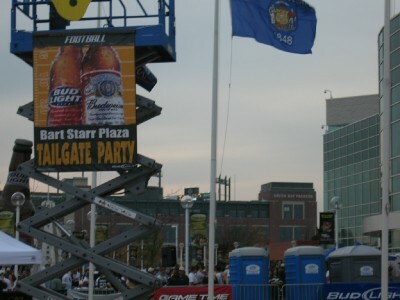 Tommie told me, a couple of weeks before this game, that Brett was one of the only QBs he ‘had NOT’ sacked! And he was able to sack him twice in this game. 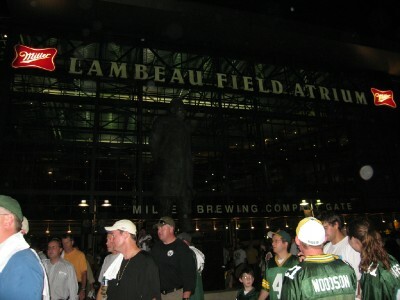 Bret & his Packers played a tough game, and Brett was his usual amazing self, but my Bears prevailed and Tommie’s play was ‘clutch!’ It was an exciting, ‘edge-of-your-seat ‘ game to the last second. Here are just a few photos of our memorable trip. Hope you enjoy! And Tommie, thanks, we love you and will never forget it! 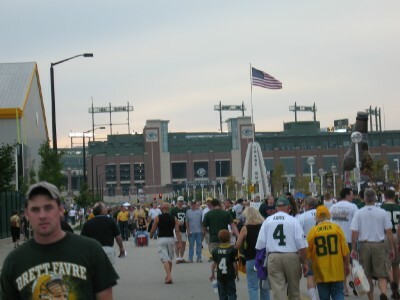 (#4 & Brett Favre t-shirts EVERYWHERE! What a stadium! What an atmosphere! In the Choctaw language there is no word for good bye. So I’ll just say ‘see ya around’ Brett! Thanks for waiting to retire until after I got to see you play! Thanks for the memories! We’re sure gonna miss ya! YOU COULD PROBABLY USE THE REST! Post Note: Hey, Brett… I’m all for you coming back! And would travel to see you no matter where you played. 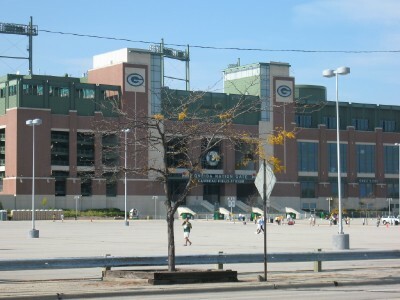 But, if you don’t wear the green and yellow, I’d love to see you in Chicago. Don’t think it will happen, but one can wish it were so. POST POST NOTE: Hey, Brett! 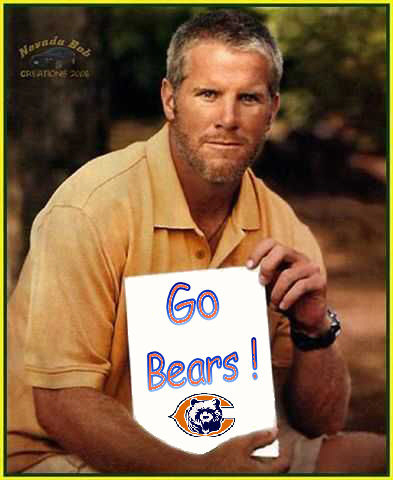 Guess you’re rested now…glad you got the time to re-focus… and sorry you aren’t starting with the Bears. But hey, welcome back! It wouldn’t have been the same without you! POST POST POST NOTE: Hey, we’ll get enough rest when we’re dead! 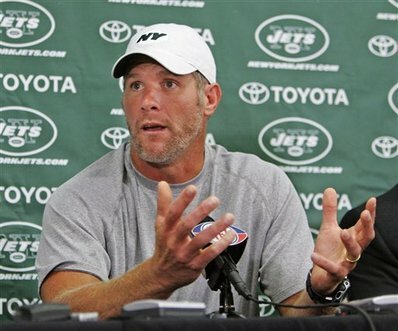 Brett Favre is BACK and now the QB for the NEW YORK JETS! Wow! 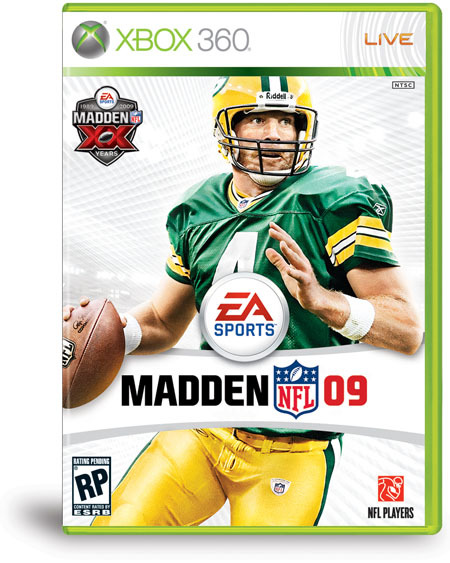 Madden has a lot of re-printing to do. Ya know, I always wanted to see New York…. TO BE CONTINUED, I’M SURE! 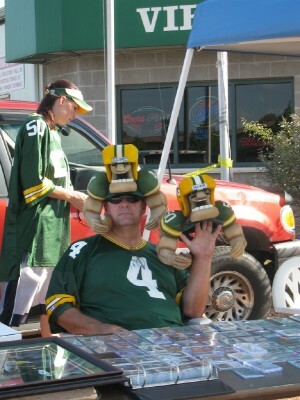 UPDATE: Brett…. You’re the bomb! A STAR! You continue to “rightfully own” your well earned title: The Godfather of the NFL. And the beat goes on!